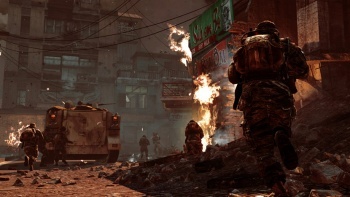 Market analyst Evan Wilson has upped his prediction for the next Call of Duty's sales figures, but doesn't think it will beat Modern Warfare 2. It's never easy having an older brother, and it's even harder when he's incredibly successful and everyone loves him. This is pretty much the situation that Call of Duty: Black Ops finds itself in, having to follow Modern Warfare 2, a game which became the biggest media launch in history when it was released last year. But while Pacific Crest analyst Evan Wilson isn't expecting lightning to strike twice, he still sees great things in Black Ops' future. Wilson has increased his previous estimate for Black Ops' holiday sales by 20%, from 10 million to 12 million copies. The increase is based on the number of pre-orders, which according to Pacific Crest's retail sources are higher for Black Ops then they were for Modern Warfare 2 at the same point before release. Despite his revised projection, however, Wilson doesn't believe that Black Ops will beat its predecessor's sales figures, citing "competition, weaker marketing, and the Infinity Ward situation" as the primary factors for this. Call of Duty: Black Ops is due to be released PC, PS3, Xbox 360 and Wii on November 9th.